This 13th episode of Inside Chattanooga Football looks at the Mocs' First-Round FCS Playoff win over Fordham, and we will take a closer look at the upcoming Jacksonville State rematch. Also in this week's show is the SouthEast Bank Student Athlete of the Week, Dee Oldham of the men's basketball team. \n\nAs always, the Voice of the Mocs Jim Reynolds is our host. 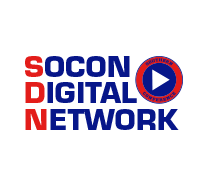 He's joined by head football coach Russ Huesman.\n\nInside Chattanooga Football is a production of Learfield Sports, Mocs Sports Properties and MocsVision. New episodes are available each Thursday at 11 a.m., for the duration of the football season. This eighth episode of Inside Chattanooga Football covers all aspects of the 20-17 win over Wofford, from game prep to the final touchdown. Also included in this week's show is the SouthEast Bank Student Athlete of the Week, senior Volleball player Lauren Gainer. Earlier this week, Lauren was announced as a member of the Homecoming Court for the upcoming game against Western Carolina. Our feature this week is on the Sports Medicine area of the department and a look at some of the methods they use to get all of the Chattanooga athletes back on the field of play. Wrestling Season Tickets are on sale now! Get yours today! Monday Moc Talk is back with the premier episode for the 2015-16 Wrestling Season. This week Head Coach Coach Heath Eslinger discusses pre-seasosn events, including the the Blue-Gold match that will take place on Thursday October 29th at Maclellan Gymnasium, as well as the NWCA All-Star meet which will be held in Atlanta on Sunday, November 1st. Head Coach Travis Filar and senior Sarah Batterton talks about Volleyball's camps so far this fall. It's tough being an offensive lineman. So we at MocsVision will show them some love. The Mocs linebacking core is now in focus. It's day five and we've turned our cameras to the Special Teams unit. HC Russ Huesman talks about dodging the rain and the FCS Coaches Poll. The Mocs have a strong quarterback core. Have a look at them putting in some reps during fall camp. Fall camp is underway. Here's how the Mocs' first practice went.